Watching for signs of termites can keep your home from becoming a termite feasting ground. All homeowners should be aware of the signs of termite infestation – the appearance of winged termites, mud tubes, and wood damage. The presence of any or all of these three indicators should be enough to raise a warning bell. 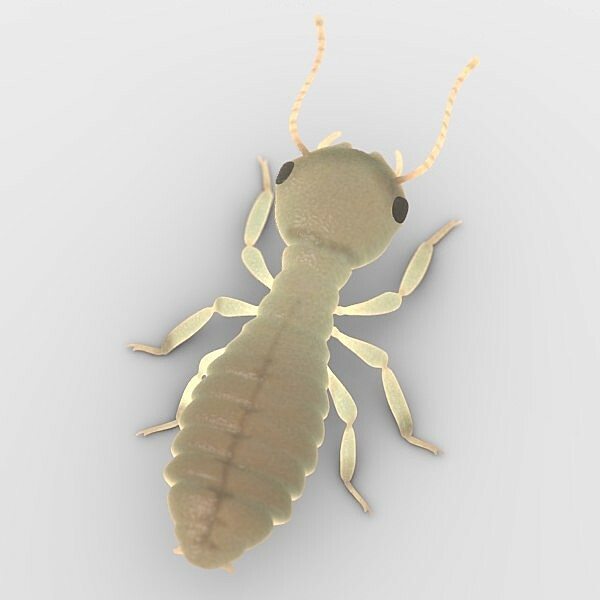 If you’re to slow in identifying termite problems, the sure signs of termite damage are sure to shortly follow. Termite swarmers (winged termites are called alates or swarmers) are one of the first significant signs of termite activity that you may see. Swarmers are adult male and female termites from an established colony that are extremely sexually-receptive and are very eager to pair up and start their own colonies. They emerge from their colony in mass, and are a sign that there is an active termite colony near by. You can differentiate a winged termite from a winged ant by its appearance. 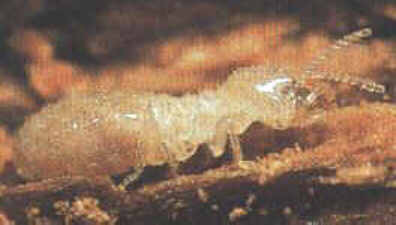 Termite swarmers are soft-bodied and have a thick waist. Their antennae are bead-like and straight and their wings are of equal length that detach easily. Winged ants, on the other hand, have a hard body and a constricted waist. Their antennae are elbowed and their forewings are larger in size than their hindwings and these do not break off as easily. Swarming typically occurs between the spring months of March and May, during the daytime hours when temperature and moisture are at their most favorable. This phenomenon takes place rather briefly, usually not more than an hour, as the alates lose their wings quickly. If it occurred indoors, the only evidence you may have of a swarming is the presence of shed wings stuck on cobwebs or on your window sill. Another sign that screams termite infestation is the presence of mud tubes. These tubes or shelter tunnels, as they are otherwise called, are constructed from a unique combination of plant matter, soil, and feces with the sole purpose of providing protection as they traverse their way through exposed areas toward their scrumptious destination. 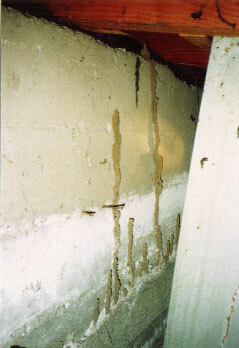 These termite tubes can commonly be found along a buildings foundation, in crawl spaces, running up walls etc. Pretty much any where a termite can’t dig though and would have to go around. Inspections of your foundation and the crawl space between the floor of a building and the ground will quickly find any mud tubes that termites may have built. They tend to stand out. But they could also be very small or short if the distance the termites need to cover is short. 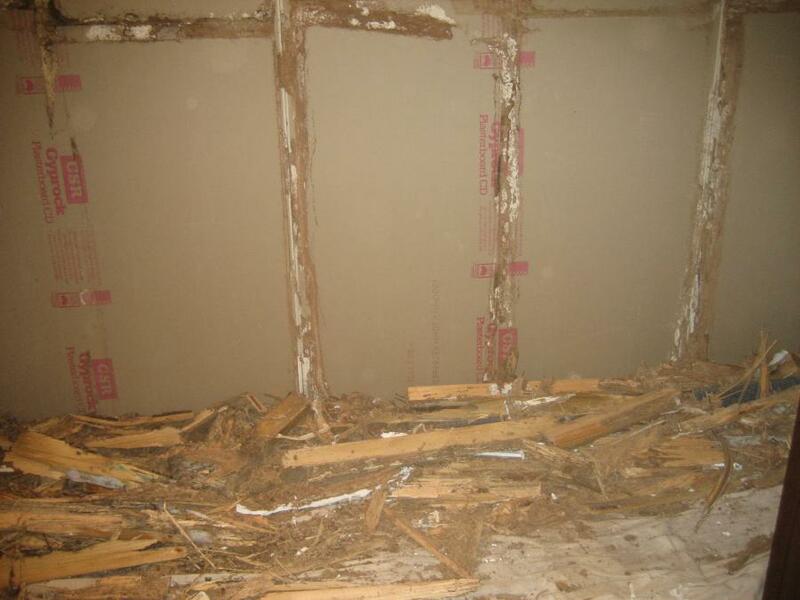 The third, and without a doubt, the most detrimental sign that termites have invaded your home is wood damage. Unfortunately, this is not easy to pick out because the damage cannot be seen from the outside. 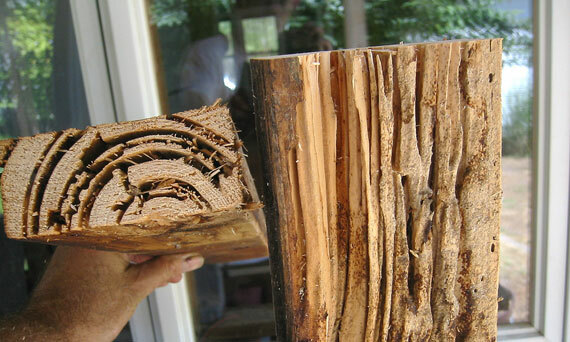 Termites feed on the softer wood underneath the polished finish, leaving a honeycombed mesh where solid wood used to be. When tapped from the outside, the structure would have a hollow sound. If you want to check further to see if the underlying wood has been compromised, you can probe the area with a knife or a screwdriver. Termite excavations of the wood are packed with soil and droppings. Do not allow these creepy crawlies to drive you out of your own homes. Prevention is always better than cure; well, extermination, in this case.